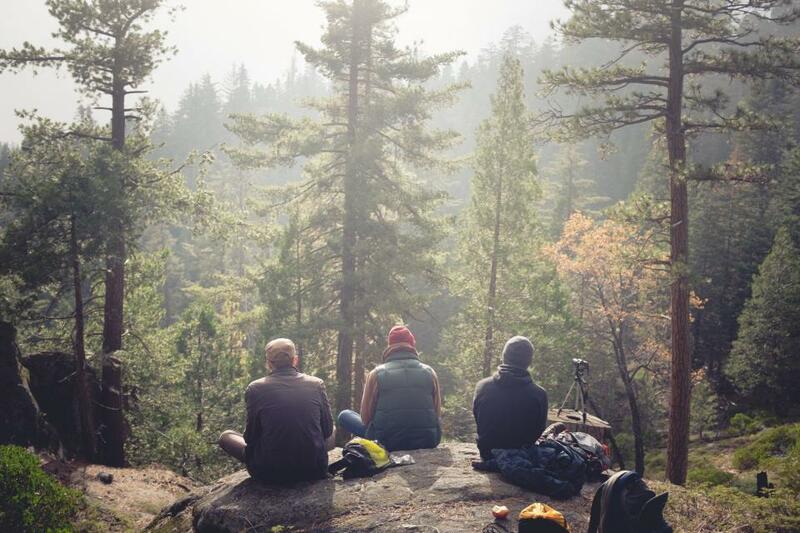 So, what is the best tent for weekend camping? 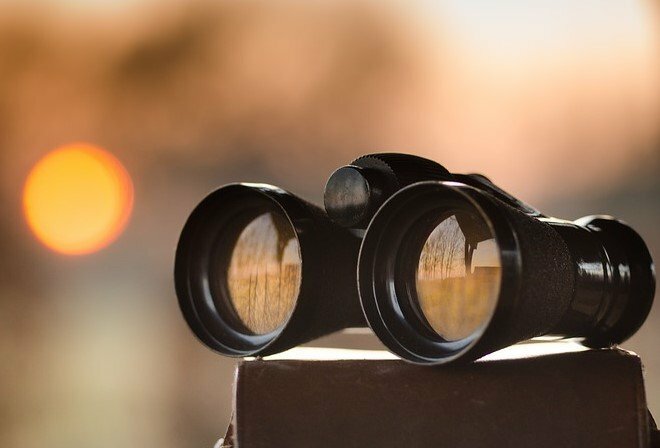 You want to look into the so-called “Instant Tents” or “Pop-up tents”. Those are suitable for a quick weekend camping trips because they are quick and easy to pitch, often by only one person. Some pop-up tents, just take them out of the pack throw ’em into the air and thanks to some clever mechanism have it pop up and unfold in seconds. 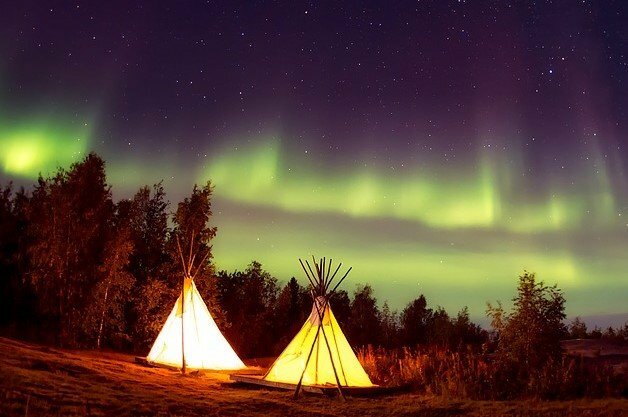 Those tents have become very popular for a spontaneous weekend camping trip. There are a lot of different tent models available. 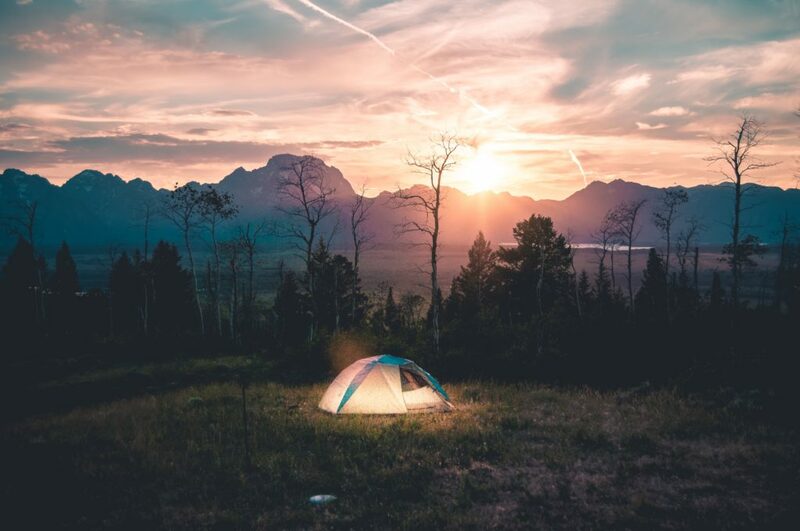 You will find one right for your camping need from small tents that sleep just one person to large family tents that comfortably accommodate 4 people or even more. Very affordable Instant tent. A real Pop Up tent, take it out the pack, throw it in the air, Done. Takes less than 1 minute to set up. 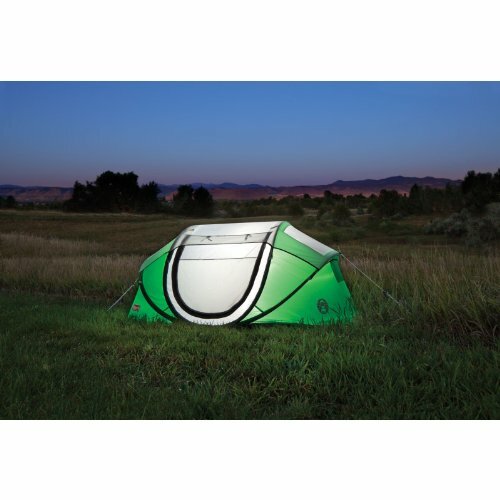 It is the perfect tent for light camping conditions, hiking in summer or a festival visit. It sleeps one person comfortably, two if you cuddle up a bit. 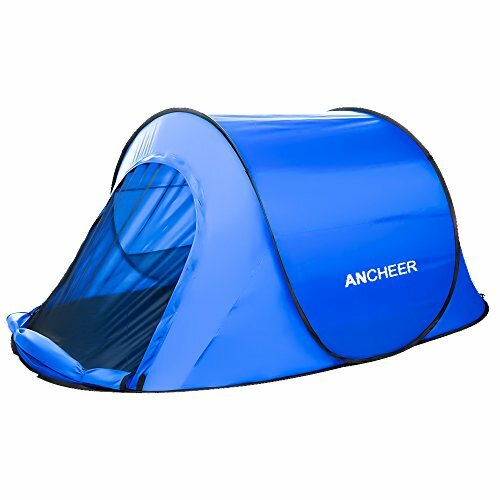 Another real Pop Up Tent, takes only seconds to pitch as it almost pops into shape as soon as it is out of the pack. 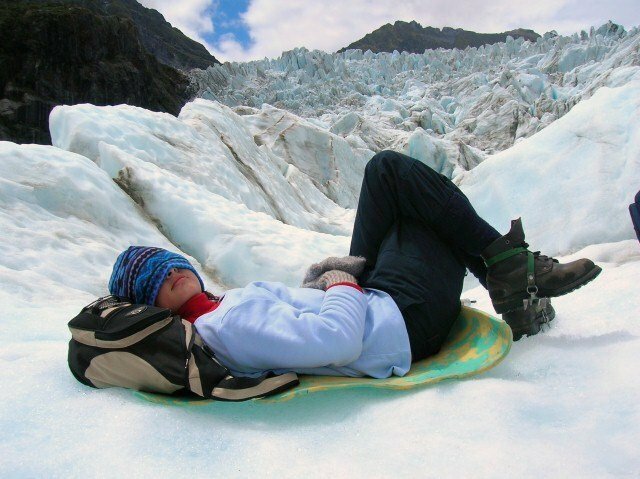 A good choice for weekend camping, bicycle tours in summer, festivals and other events. 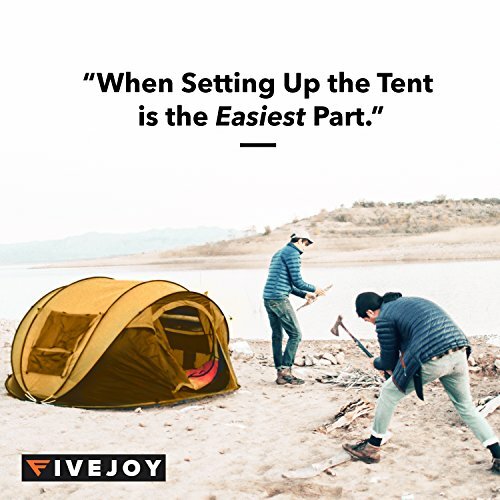 The FiveJoy Instant 4-Person Pop Up Tent is a quality tent. Durable fabrics, double stitched with mesh windows to let air in and keep bugs out, good smooth zippers and convenient storage pockets and a loop for a lantern. The PU coated polyester fabric is rated at 3000mm water resistance. It got two doors for easy in and out and provides plenty of space for 2 people with gear. 4 people would have to squeeze a bit and luggage would have to stay outside. 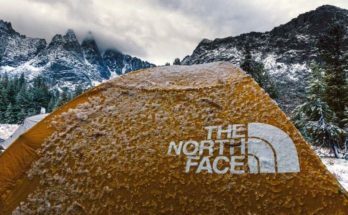 Great for festival and weekend camping as well as for hiking trips in 3 seasons. 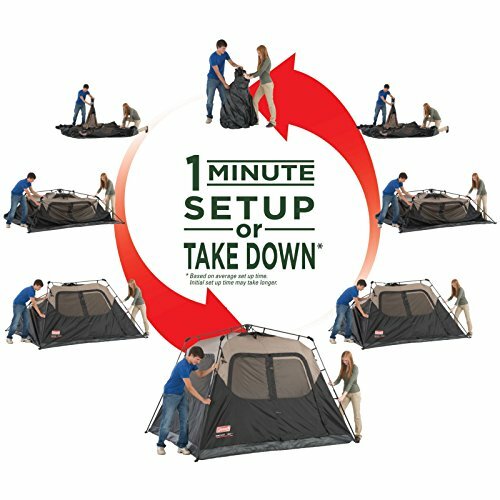 The Coleman 6-Person Instant Tent is a highly popular tent, for a reason. It is very stable in weather and the pre attached poles allow for a very fast set up for a tent this size, it really can be done in a minute. It is made of strong durable coated polyester fabric that keeps even heaviest rain out. The interior provides plenty of space for the whole family. 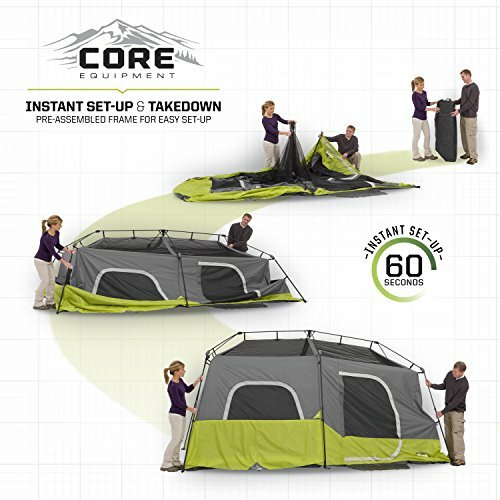 The Coleman 6-Person Instant Tent is a great value for money tent, some say it is the best tent for weekend camping with the family. The Core 9 Person Instant Cabin Tent has plenty of space for large groups or families. No need to squeeze in here or duck as even the tallest can walk upright. This large family tent is easy to set up in only a couple of minutes, thanks to the pre installed tentpoles and guy ropes. Ventilation is great even on the warmest days. It comes with all sorts of convenient features, such as room dividers, electrical cord access port, storage pockets and large mesh windows. The Core 9 Person Instant Cabin Tent is a quality tent well made for family camping in summer.